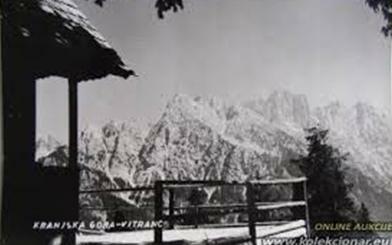 On November 29, 1948, the ski lift Preseka was opened under the auspices of the Slovenian Sports Association. The institute »Ski lifts Vitranc« was established in 1995 under the umbrella of the Committee on Construction of Kranjska Gora tourist association to construct chairlifts to the Vitranc. When the new chairlift was constructed, the bar Mojca, which was situated close to the ski lift Preseka, was moved to the top of the Vitranc and renamed into Mojčin dom. The mountain hut Mojčin dom was built in 1958, i.e. sooner as the neighbouring mountain hut Dom na Vitrancu. When the President of the former Yugoslavia, Tito, visited Vitranc, he first entered into the mountain hut Mojčin dom. When the neighbouring mountain hut Dom na Vitrancu was built, the mountain hut Mojčin dom became redundant and was sold to Štefka Bleiweis, who sold it to Vitomir Modrič in 1984. In the denationalisation process of 2007, the functional land was allocated to the Mojčin dom and on May 25, 2013, the mountain hut Mojčin dom was sold to Primož Zupančič and Matjaž Zajc..